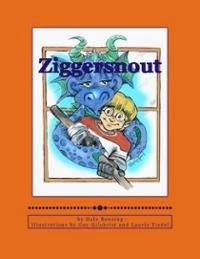 A picture book for early readers, Ziggersnout is a story about a little boy learning to skate who finds that things are not as easy as he thinks, but learns to persevere. With the help of the rink manager and the dragon who lives under the ice, Eric discovers that hope, faith and desire can work magic. JR and his embassy friends Robert, Pie, and Beatrix are on their way to Prague! Having solved the mystery of the missing dogs in Moscow, JR is ready for a vacatio with his human, George, and George’s Russian girlfriend, Nadya. And where better to distract themselves than in Prague, taking in the sights and meeting Nadya’s brother, a circus performer.